Amazon removes Fire OS encryption, Apple supports users through Twitter, Amazon adds new devices to the Echo family, the founder of Oculus VR takes Apple to task, and Morgan Freeman thinks selfie sticks are dumb. ZOMG: encryption in Amazon devices is gone! They removed it! I have no idea what it was used for but this is HORRIBLE!? 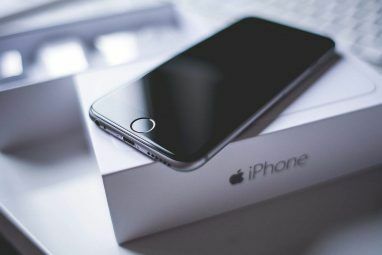 As you’re no doubt aware by now, Apple is currently fighting the good fight Apple Refuses to Help the FBI, Popcorn Time Returns... [Tech News Digest] Apple Refuses to Help the FBI, Popcorn Time Returns... [Tech News Digest] Apple stands up for personal privacy, the original Popcorn Time gets resurrected, Kanye West learns the price of piracy, Sega gives games away on Steam, and play Pong on your Apple Watch. Read More by refusing to give the Federal Bureau of Investigation (FBI) a backdoor into the iPhone. Most tech companies have come out in support of Apple, realizing that if the Feds succeed they could be next. However, while all of this has been going on, Amazon has been weakening the security of its customers. This is because Amazon has actually stopped supporting device encryption on its Fire OS devices, with Fire OS 5 being the update which kills it. This means that anyone who wants to retain device encryption on their Amazon tablet needs to resist updating. Which is a security risk in its own right. What this essentially means is that while communication sent between your device and Amazon are secure, any files stored on the device itself are not. Which, as multiple complaints on the Amazon support forums make clear, means sensitive data such as corporate emails can no longer be stored on an Amazon Fire tablet. While the Apple and Amazon situations aren’t linked, they do reveal real differences between how the two companies regarding the security of your data. Apple has launched an official Apple Support Twitter account. This account, @AppleSupport, will offer tips, tricks, and customer service, all in 140 characters or less. One of the first tweets sent out offered a step-by-step guide to turning lists into checklists in the iPhone Notes app. However, the account is also responding directly to users concerning complaints and queries. 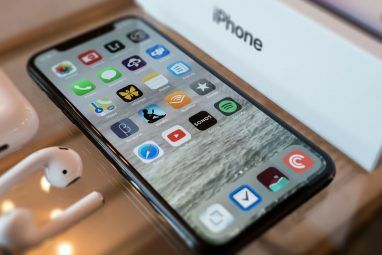 Apple has been somewhat cagey about embracing social media 8 Essential Twitter Accounts for Apple Fanboys 8 Essential Twitter Accounts for Apple Fanboys I’m not an Apple fanboy myself but I do know a few. They don’t deserve the treatment they receive, and have done throughout history. They’re still human, and still people who need love and attention... Read More , preferring to channel people through to its official support forums or bricks-and-mortar Apple Stores. 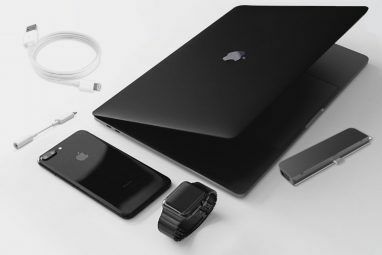 The company does have accounts set up for various products and services, and executives such as Tim Cook tweet regularly. However, rather bizarrely, @Apple has never tweeted, and doesn’t even have a profile picture. Buoyed by the success of the Amazon Echo — which we reviewed in June 2015 Amazon Echo Review and Giveaway Amazon Echo Review and Giveaway Amazon’s Echo offers a unique integration between voice recognition, personal assistant, home automation controls, and audio playback features for $179.99. Does the Echo break into new ground or can you do better elsewhere? Read More — Amazon has launched two new devices belonging to the same family. Amazon Tap is a portable version of the Echo, while the Echo Dot is a smaller sibling which is designed to let you hook your own speaker up to it. The Amazon Tap is a Bluetooth speaker with WiFi and Alexa (Amazon’s voice-activated personal assistant) built into it. The name derives from the fact you have to tap the microphone button to issue voice commands to Alexa. The Tap weighs in at 470 grams, and will cost $130 when released later this month. The Amazon Echo Dot is so-called because of its small stature, being about the same size and shape as a hockey puck. The Dot is a strange beast, as it’s essentially the same as a full-sized Echo, just with limitations in terms of the area it can control. Still, you can hook your own speaker up to it, and it’s priced at just $90. Unfortunately, you can only order one using an Echo or Fire TV. If you’re a Mac owner annoyed at Oculus VR for refusing to support Apple’s computers then you only have one entity to blame… Apple. That’s at least according to Palmer Luckey, founder and CEO of Oculus, who recently addressed the issue in an interview with ShackNews. Eesh, that’s got to burn. But Luckey backs up his claims by insisting Apple lost all hope of Oculus support when it stopped prioritizing high-end GPUs. Apple has aimed its computers at professionals and the applications they use, not at gamers. And this is the result of that decision. And finally, all right-thinking people dislike selfie sticks I Acted Like A Prick With a Selfie Stick, Here's How People Reacted I Acted Like A Prick With a Selfie Stick, Here's How People Reacted Basically, no one reacted. No glares, shouted warnings, or lobbed projectiles. People just weren't that fussed. Read More , seeing them for what they are… tools to help the vacuous display their vanity for all the world to see. And now we know Morgan Freeman is with us, as he clearly isn’t a fan of selfie sticks and the dumbos who use them. We know because Jimmy Kimmel asked Freeman to use his rousing voiceover voice to narrate people randomly walking down the street. And the first person to come along was using a selfie stick Battle of the Selfie Sticks [Round-Up Review and Giveaway] Battle of the Selfie Sticks [Round-Up Review and Giveaway] A week can't go by without somewhere banning their elongated presence. Despite this, selfie sticks are as popular as ever. We thought it was worth having a look at what's out there. Read More . As was the second. Because that’s what tourists do when they’re in Hollywood. Much to Freeman’s annoyance. 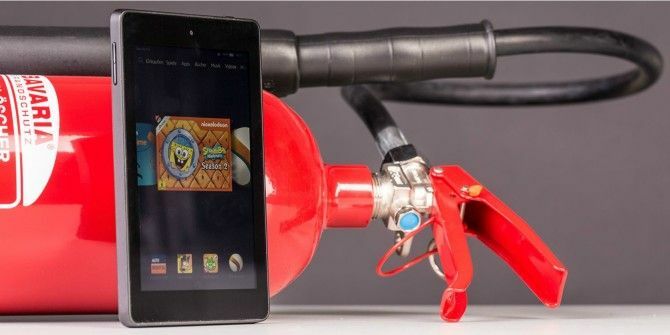 How do you feel about Amazon dropping Fire OS encryption support? Will you be following Apple Support on Twitter? Are you interested in either the Amazon Tap or Amazon Dot? Is Palmer Luckey talking nonsense? Do you agree with Morgan Freeman that selfie sticks are dumb? Explore more about: Amazon, Amazon Kindle Fire, Apple, Oculus Rift, Selfie.